Smith & Nephew, a major competitor in the surgical robotics industry, has announced the unveiling of their next-generation surgical robotics system to be launched later in 2019. Upon the company’s acquisition of Brainlab’s orthopedic joint reconstruction business, they have decided to incorporate this newly-acquired business and sales force into their existing surgical robotics division. 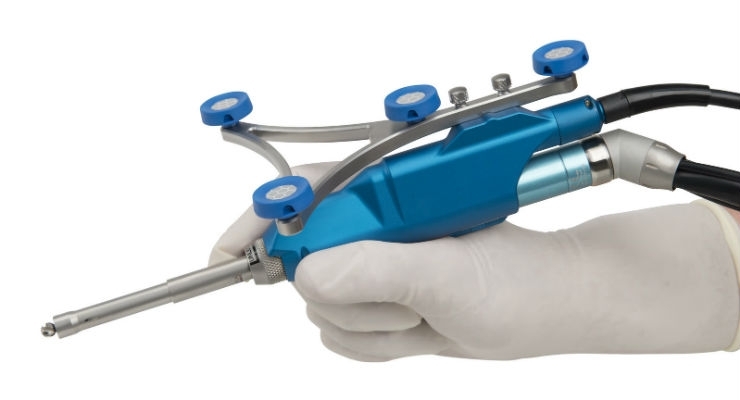 Smith & Nephew divulged that they are seeking to install Brainlab’s hip software onto their existing currently-in-development Navio 7.0 handheld surgical system, which is expected to be released in the second half of 2019, with full commercial release in 2020. The acquisition between Smith & Nephew and Brainlab also denoted a collaborative development agreement for the development of additional applications for their advanced automation platform. Smith & Nephew also added that their research and development program is keen to add augmented reality, machine learning and stand-alone robotic arms to the platform. The company also promised a drastically reduced footprint and a capacity to be incorporated into their existing sports medicine tower, and that the system will be quicker than earlier renditions of the Navio 7.0. “The near-term commercial opportunities with the innovation of our robotics platform and the integration of the Brainlab hip software are very compelling. Not to mention, the strong collaboration on design and development of next generation technology that will bring our customers more differentiated advanced surgical capabilities. We’re excited to work together with Brainlab to bring the future of the digitally integrated O.R. to life and into the hands of surgeons world-wide,” said Skip Kiil, President of Global Orthopeadics at Smith & Nephew, in a prepared statement. Market research on the surgical robotics and navigation market, published by iData Research, reveals that Smith & Nephew is a prominent competitor in the surgical robotics market, with their focus remaining mainly on orthopedic applications within robotics. This was mainly due to their acquisition of Blue Belt Technologies for $275 million in 2015, where they first gained the Navio platform. As such, these new developments for the existing Navio line are expected to be beneficial to Smith & Nephew’s place in the market, as the platform already has an existing client base. “Smith & Nephew is making a long-term commitment to bring together advanced technologies in robotics, digital surgery, and machine learning as well as augmented reality to empower surgeons and improve clinical outcomes. Over time these digital surgery and robotic assets will be deployed across all surgical specialties and healthcare settings where Smith & Nephew’s operates, starting with orthopedic reconstruction and sports medicine,” CEO Namal Nawana said in a press release. More on the surgical navigation and robotics systems market in the U.S. can be found in a series of reports published by iData Research entitled the U.S. Market Report Suite for Surgical Navigation and Robotic Systems.